Why waste years growing a Santa beard when it can come instantly… in a can! Disguise yourself in minutes with the Emergency Santa Kit by Archie McPhee. 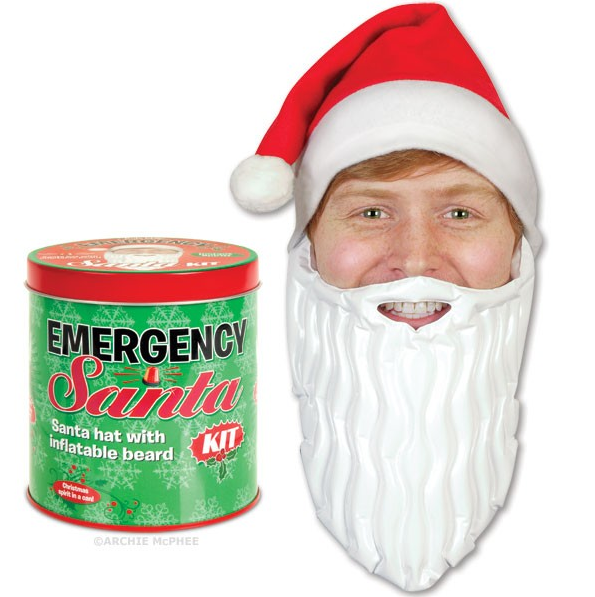 It’s a tin filled with a Santa Claus hat and a vinyl white inflatable beard so you’re ready wherever and whenever a Santa is needed. Santa approved*!